Rashid will help Olivia and the baby she’s been caring for escape the violence in Behruz, but he must guard his heart. He can’t risk being hurt by her again. Olivia has her own reasons for keeping her distance from Rashid. 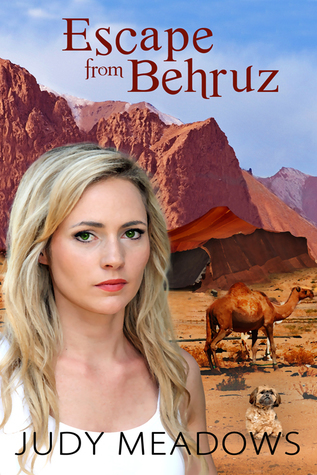 If he learns that the baby is actually hers—and his—she will lose everything that matters to her.Their escape involves traveling with nomads across the mountains into Iran. As they trek together by day and sleep beside each other in a nomad tent at night, the attraction that has always drawn them to each other grows ever stronger, Can Olivia survive the trip without revealing her secrets and without losing her heart to Rashid once again? Wow what an amazing journey. Olivia has lost everyone she has every loved. Under the care of her brother n law she feels she is a prisoner. Not allowed to go anywhere or talk to anyone. She dreams of the man who abandoned her two years ago and the baby she was forced to give away, then care for when her sister died. She dreams of the day that she can escape or be rescued. Rashid has returned for his love only to find that she is cold towards him. He should be the one who is mad for abandoning him two years ago. But he is determined to make her realize she loves him. As danger and a country of unrest hits close to home, he must rescue her and get her out of the city. This was such a well written story. The book reveals bits and pieces of how she became to be in the situation she is in. This keeps the reader invested in the story and the end result. The story flows nice and smooth and is not rushed. This book has enough danger and mystery to draw readers in and hold the attention throughout. An amazing adventure of true love and the obstacles the characters have to overcome in order to find happiness and a future without fear.